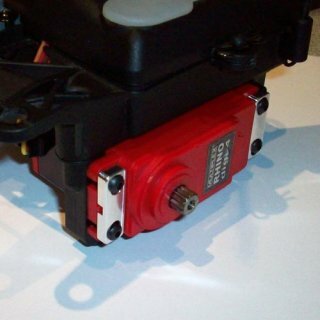 If you've tried to upgrade your steering servo to either the Hitec HS-5745MG or the Multiplex Rhino Digi 4 servo, you may have noticed that there is a slight fit issue with the hole pattern. Making it work requires that you remove some material from the servo tabs on your new servo. 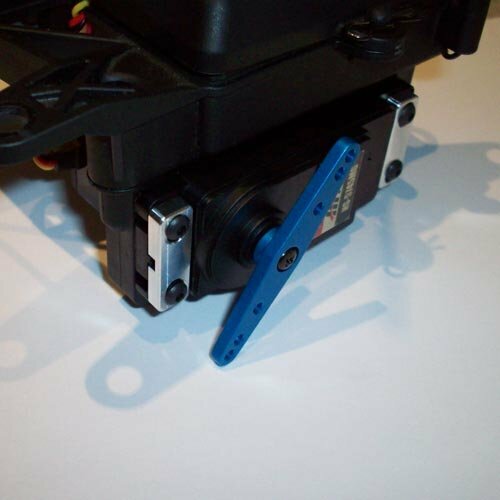 This creates a whole other issue with constant broken tabs and replacing your servo case over and over again. 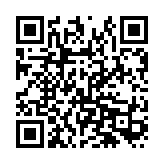 We've got the fix for you! 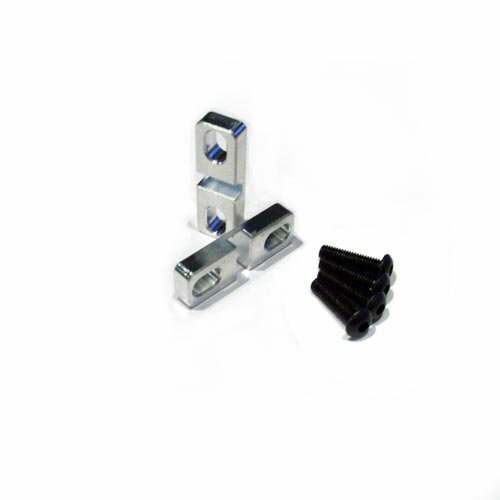 These heavy duty fully machined clamp fit over the entire surface of the tabs preventing any possible breakage. Will fit both servos mentioned above, the stock HPI servo and others. This will also work with servos on large scale air planes too! Includes one pair of quality machined servo clamps and 4-M3x12 button head screws. Passend auch für andere Großmodelle. Enthält Alu-Befestigungen für das Lenk-Servo. Ultrastarker Halt gepaart mit toller Optik.